RedCloud (hace 2 años) #11366932What is this new magi merch thou speak of? heathersaur (hace 2 años) #11127561We have been! 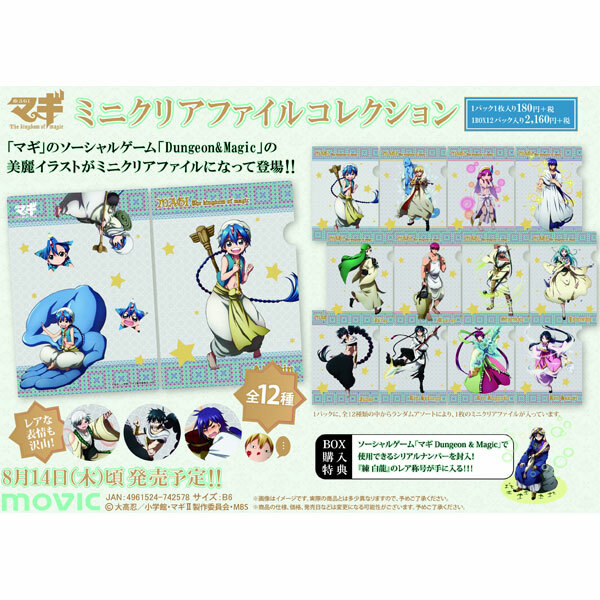 It's mostly Sinbad no Bouken merch though. Haneoka (hace 2 años) #11127159The new spinoff prequel anime Magi: Sinbad no Bouken is airing currently, maybe we'll get some new merch as a result. Akira (hace 2 años) #11003672I'm wondering If we will ever see more Magi figures at all. The manga is on It's final arc. I don't follow the anime because of obvious reasons so I have no idea if they are planning to make more seasons, but I do know is not airing rn which makes the chances at figures (rereleases or new ones) slim. RedCloud (hace 2 años) #10910921I can't be the only one who is dumbfounded at the lack of scaled Magi figures?